Google has been dabbling in the realm of Internet-based calling for years. First it was Gmail, then Hangouts got in on the action. While there were ways (and even third-party products) to use the Google Voice service for VoIP, it was probably the least enjoyable calling experience we've seen that didn't involve MacGyver-style shorting of exposed wires to dial a number. Now an update to the Google Voice app reveals that it's finally going to make its VoIP capabilities an official feature, and it'll be usable directly from your phone without any hacky workarounds. Google has posted a changelog for this update, adding a few more things that should be new with this version. Included in the list is the ability to copy voicemail transcriptions, which is mentioned in the teardown below. (Sorry, I can't use Voice because it gets blocked as a Fi subscriber, so testing for things like this isn't an option.) Also mentioned is "geographic location for phone numbers," which is a pretty vague explanation, so maybe it makes sense for users. And finally, you can now save multiple images sent through MMS messages. There is one oddball thing already working in this release. If you don't use Google Voice, you might be a little surprised to learn that it never gave missed call notifications. To be fair, that responsibility usually fell on a phone's dialer app, and Google Voice does give notifications for things like new voicemail and SMS/MMS. However, if there was any reason your phone didn't receive the call (e.g. in a dead zone), you might not know somebody called unless a message was left. It looks like that changes with v5.7, because missed call notifications are now appearing if somebody calls your Google Voice number. Note: As pointed out in the comments, there is a setting to have Google Voice generate an email when a call is missed. The addition discussed above is a system notification. It doesn't get much simpler than that – you'll be able to make calls using Wi-Fi or mobile data. This will effectively give many people a phone with a second number, but one of them uses Google Voice app and its calls run over data as opposed to your carrier's calling features. We'll get to the minor details shortly, but first let's discuss a couple of broader changes that may impact how you already use Google Voice. To begin with, making calls with your Google Voice number used to be done through your dialer app, but it looks like that won't work for much longer. Basically, calls through Google Voice will have to be done using its own app. My guess is that Google is doing away with the step that involved calling into Voice first, then routing through another call to the actual destination. This step will be replaced with the more straightforward VoIP call. It's possible the old method will remain operational, but it's hard to say with certainty. The next change is a bit easier to absorb: Hangouts messages that were sent through the Google Voice system to telephone numbers (as opposed to a Google account) will be visible in the Google Voice app. It sounds like both apps will now have access to those same messages, so you can probably use whichever one you prefer. Finally, you'll still be able to use the Google Voice app to initiate outgoing calls through your carrier. 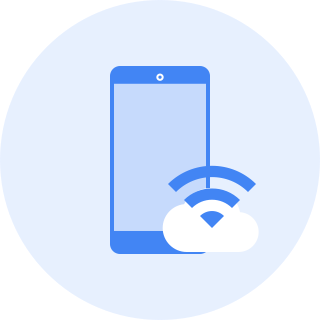 A setting will allow you to choose whether you want to use only your carrier for making calls or if you prefer Wi-Fi and cellular data. If a call fails, you'll be prompted to attempt the call using the other method. There are plenty of predictable additions related to giving true calling functions to Google Voice, including the text for in-call functions and notifications. None of them are particularly interesting, but we'll skim over them in this section. Feel free to skip to the next if you like. Incoming and outgoing calls will be labeled as Google Voice calls when appropriate, otherwise they'll probably have your carrier's name. There will be standard controls to answer and decline calls, hang up, put people on hold, mute the line, or toggle the speaker. Most of those same in-call functions will also be available through a persistent notification. It may interest some people to know that the two-finger swipe up or down to accept or decline a call is going to be an option here. And since this is a Google app, of course it will prompt users to give feedback about the call quality. While these were discussed earlier in the post, there's actually one more detail worth mentioning: You can have Google Voice watch your notifications and it won't produce one of its own if your dialer app already posted something for a missed call. This is vaguely reminiscent to the way Inbox offers to shut down Gmail notifications to prevent duplicates, though this one is necessarily more complicated internally. However, for users, all that's necessary is granting call history access to Google Voice. This one has nothing to do with VoIP, it's just one last interesting feature. Previously, you could copy a phone number or content of a text message, but not the transcription of voicemail. Well, that was either resolved in this update, or will be soon. Sorry, I couldn't test this yet, so you may want to check if it's live already. Update: Reported to be live. Thanks, hp-fourtwenty!